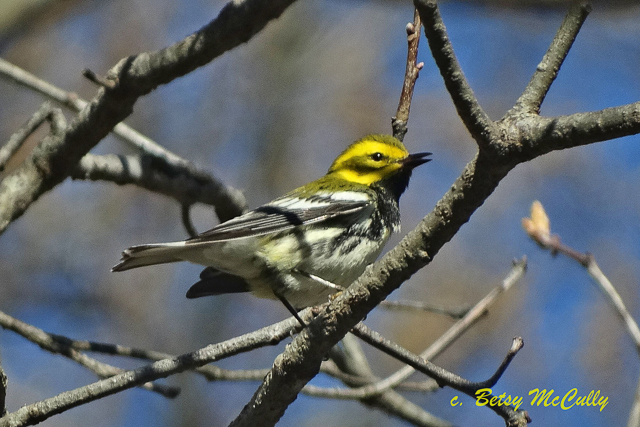 Black-throated Green Warbler (Setophaga virens). Male, breeding plumage. Forests. Migrant.